The State Department has approved Taiwan’s request to buy missiles, torpedoes and related components as well as operations and maintenance support for the East Asian state’s surveillance radar program under seven foreign military agreements worth approximately $1.36 billion combined. Taiwan requested to purchase follow-on sustainment services for the SRP that include engineering, logistics support, spare and repair parts, technical updates and test equipment under a potential $400 million FMS contract, the Defense Security Cooperation Agency said Thursday. Taiwan also asked to procure software, hardware and technical assistance to support updates to AN/SLQ-32(V)3 electronic warfare systems aboard four Keelung-class destroyers through a separate contract worth $80 million. Raytheon (NYSE: RTN) will serve as the prime contractor in this transaction and another FMS deal valued at $125 million, which covers the procurement of SM-2 Block IIIA missiles, related components and support services. 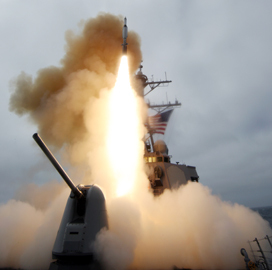 The State Department also cleared other FMS deals with Taiwan and those include the procurement of AGM-154C JSOW air-to-ground missiles and associated services under a $185.5 million transaction; MK 54 lightweight torpedo conversion kits under a $175 million deal; MK 48 Mod 6AT heavyweight torpedoes through a $250 million deal; and AGM-88B high-speed anti-radiation missiles under a $147.5 million transaction. The transactions seek to help Taiwan deter regional threats, build up its homeland defense and modernize its armed forces. DSCA said it notified Congress of the deals Thursday.